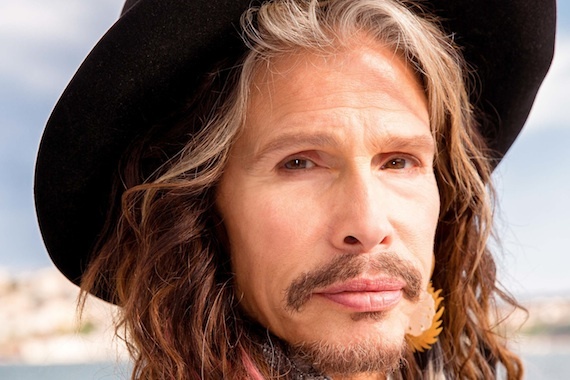 The National Music Publishers’ Association has announced that Aerosmith’s Steven Tyler has joined the NMPA SONGS (Supporting Our Next Generation of Songwriters) Foundation Board of Directors. Launched in 2015, the NMPA SONGS Foundation promotes the creation of music by supporting gifted songwriters and programs that foster composition education. The foundation’s goal is to provide financial assistance and support of educational programs to assist talented writers, so they can continue their creativity in the age of streaming. It is a 501(c)3 corporation. “As a songwriter who has lived and breathed this business for most of my life, I see how hard it has become for those young artists who are trying to make it today. I’m proud to serve on the NMPA SONGS Foundation Board because young creators deserve a chance−and we are going to be instrumental in giving that to them,” says Tyler. The NMPA SONGS Foundation Board also consists of Nashville Songwriters Association International (NSAI) President Lee Thomas Miller, singer-songwriter Jewel, songwriter Kara DioGuardi, Razor & Tie founder Craig Balsam, Reservoir Media Management founder Golnar Khosrowshahi, NMPA EVP & General Counsel Danielle Aguirre, and NMPA SVP of External Affairs, Charlotte Sellmyer. In 2013, Tyler was awarded with the Founder’s Award at the ASCAP Pop Awards and was inducted into the Songwriters Hall of Fame. In November, Tyler founded his philanthropic initiative Janie’s Fund in partnership with Youth Villages to bring hope and healing to girls who have suffered the trauma of abuse and neglect. He is currently working on his highly-anticipated solo album with Big Machine Label Group.